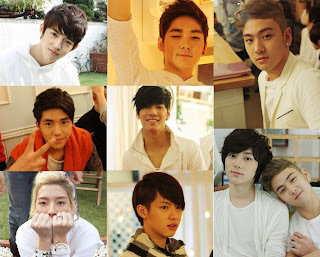 Pledis Entertainment said "While the members are free from the video filming, we took some photos." the members in the photos look natural and shows a cute and attractive face. Son Dam Bi, After School, Pledis Boys will release a special album called "2012 Hapy Pledis 'Love Letter'"
Some proceeds of '2012 Happy Pledis' will be donated to UNICEF.